Our largest heron weighs about the same as a newborn baby—from 6–8 pounds. 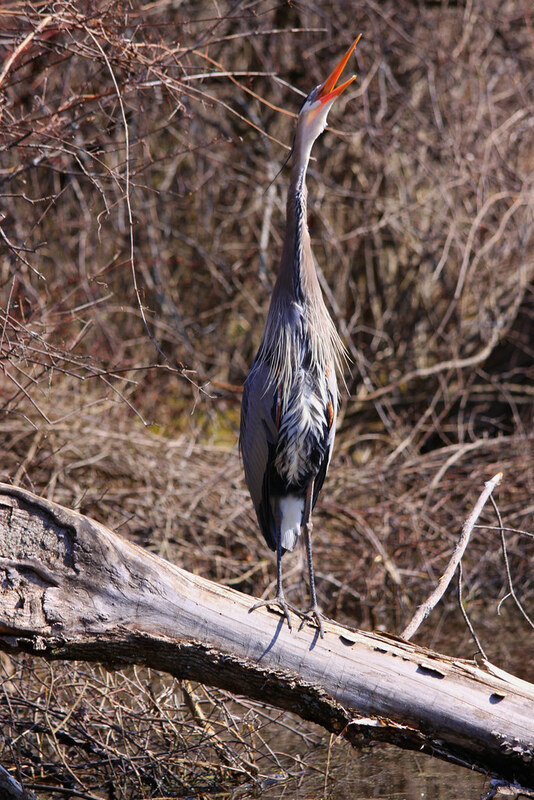 Some Great Blue Herons nest in colonies called heronries; others are fairly territorial and nest in isolated pairs. The long hind toe makes perching in trees easy. Most stick nests are constructed in trees.